HNTB Corporation’s centennial anniversary project, “100 Hours of Community Service,” was selected the overall winner of the inaugural “Helping Hand Awards” sponsored by the ARTBA Transportation Development Foundation. The competition honors “organizations within the transportation industry that have exceptional strategic philanthropic programs—outside the scope of normal business operations— that strengthen, build, improve the quality of life and make a positive difference in their communities.” An independent panel of construction industry journalists selected the entries receiving recognition, which included three other industry firms. 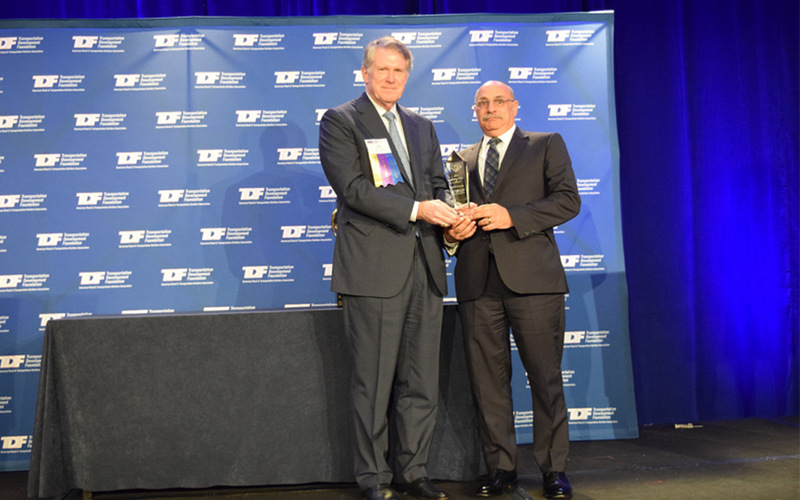 Two California-headquartered firms, Teichert and Ghilotti Brothers, along with Wagman Companies of Pennsylvania, were also honored with awards April 14 during ARTBA’s Federal Issues Program, held in the Nation’s Capital. Read the news release to learn more about the programs of each winner.